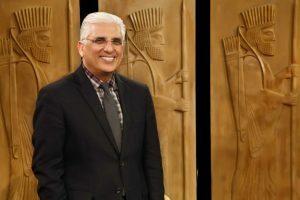 We are thrilled to be working with Iran Alive Ministries under Dr. Hormoz Shariat to video sessions for children and their parents for satellite TV which is beamed directly into Iran’s underground church. The growth of Iranian Christians is one of the fastest growing Christian populations in the world, because they are so hungry for truth after years of oppression. When Dr. Hormoz found our ministry, he told us deep, and solid children’s ministry material is one of the most urgent needs of Iranian Christian. He said they had translated other children’s material, but the Iranian Christian children rejected it because it was too shallow. They wanted much deeper teachings. So I (Becky) will be flying to Dallas, TX to spend a couple of days with Iran Alive Ministries. We will film the videos with Farsi translation which means they can get into circulation much quicker than translating printed materials, which we also plan on doing. This is a closed event, not open to the public.